Thermoplastic Road Marking work . Application areas - Airports,Highways, Factory Internal roads,Loading Unloading Areas. 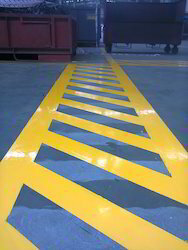 Looking for Thermoplastic Floor Coatings ?